For excellence within a budget, here at ITC we see no better buy than the Dell Vostro range of small business oriented laptops. With plenty of options, from ultra portable to desktop replacement we are sure you'll find the laptop to fully meet your needs. Sleek and stylish design incorporating the latest in connectivity including USB 3.0 and HDMI together with the latest in storage technology in the shape of Solid State hard drives (SSD). The Vostro Laptop lineup is certainly a hard act to follow. 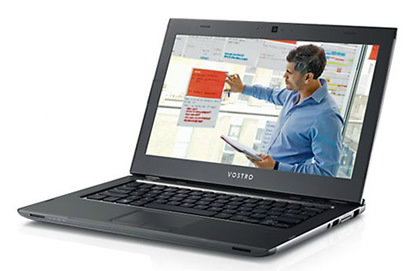 For cost conscious performance we at ITC think The Dell Vostro Range of Laptops are without equal.